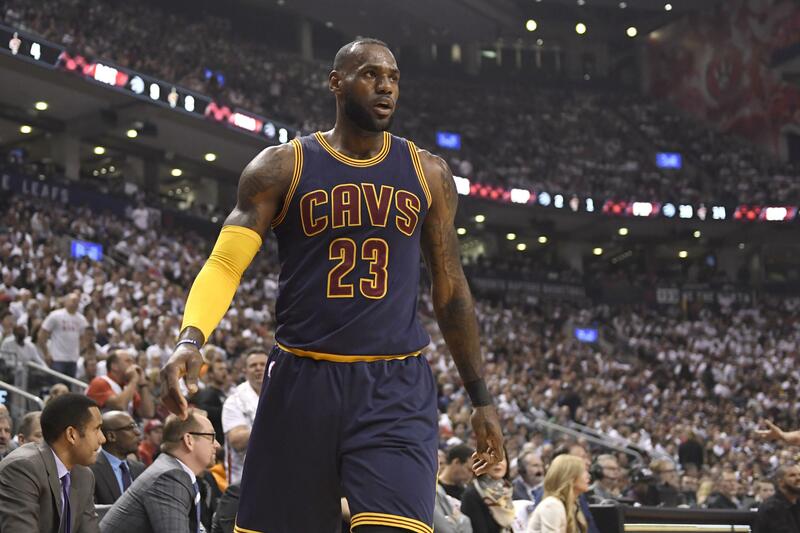 Sun., May 7, 2017, 10:05 p.m.
TORONTO– LeBron James scored 35 points, Kyrie Irving added 27 and the Cleveland Cavaliers completed a four-game sweep of Toronto, beating the Raptors 109-102 on Sunday to give James his seventh consecutive trip to the Eastern Conference Finals. Channing Frye had 10 points, and Cleveland finished 16 for 41 from 3-point range. The Cavaliers will face the winner of the Boston-Washington series. James added nine rebounds and six assists. Irving had nine assists. Serge Ibaka scored 23 points, and DeMar DeRozan had 22 for Toronto. WASHINGTON– Bradley Beal scored 29 points and Washington Wizards used a 26-0 third-quarter run to beat the Boston Celtics 121-102 on Sunday night to tie the series at two games apiece. Trailing 53-48 before the run, Washington led 74-53 on Porter’s layup with 5 minutes left in the third. The Wizards led by as many as 26 and outscored the Celtics (237-191) in the two games in D.C.
Isaiah Thomas had 19 points for Boston, but scored 17 in the first 15 minutes. HOUSTON– James Harden scored 28 points, Eric Gordon added 22 and Houston rebounded from consecutive losses to beat San Antonio and tie the series 2-2. The Rockets never trailed and used hot 3-point shooting to pull away in the third quarter. Houston made 22 3-pointers in a blowout win in Game 1, but had struggled from long-range in its two losses. The Rockets’ 3-point shooting, a hallmark of their success in the regular season, got back on track Sunday when they made 19 of 43, led by six from Gordon. Jonathon Simmons had 17 points for the Spurs, and Kawhi Leonard and LaMarcus Aldridge added 16 apiece. Published: May 7, 2017, 10:05 p.m.